Posted on January 26, 2006. Because of the circles I travel in, I get a lot of questions from people considering law school, perhaps more than some other lawyers. I don’t universally tell them not to do it, but, as I did in my own 1994 book (out of print now, I think), the Princeton Review Pre-Law Companion, I do try to get them to look at the choice realistically, which neither TV law shows nor law school catalogs help them do. 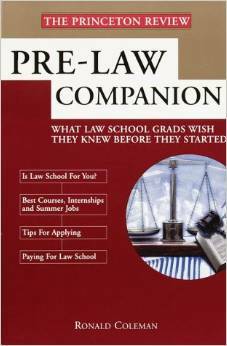 In fact I wrote the Pre-Law Companion while attempting to make a living outside the legal profession because I was so unhappy within it. 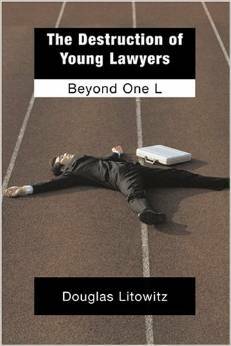 I then spent a very long time trying to write a sort of less-than-a-novel, slice-of-life narrative book about my experience as a law school student and then junior associate at Kaye, Scholer — based on this, pseudonymous article I had written in Student Lawyer magazine a few years earlier. I couldn’t sell it (oh, all right — here’s the outline, plus the sample chapters! Believe me, at this point nothing would get me to write this book, so I may as well upload it!). After squandering a year on it (while working at various potboiler freelance writing jobs) I had to return to the trenches, where I did find a sort of professional happiness, eventually. Sort of. But the story needs to be told, and perhaps Doug Litowitz is applying that bit of shock therapy that the pre-law advisors out there need to be aware of before they blithely encourage everyone who simply does not know what to do with himself after college to jump into the maw of “the Law.” There are a lot of hard questions a person should ask himself before making that commitment, and he’s asking — and to some extent, answering — them. UPDATE: This might help, by the way.